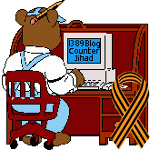 wikis — 1389 Blog - Counterjihad! Could Techrigy’s SM2 Help with the 2008 Election Campaigns? Wikipedia’s "lamest edit wars"…sez who?